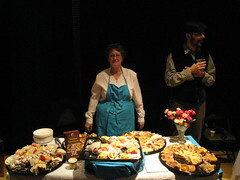 Local farm-fresh food, regional beer, and BC wine, were served to those who came out to support RIPE last Thursday. 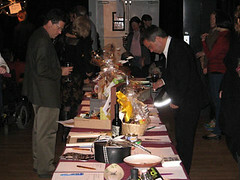 This fundraiser to promote, support, and expand local farmers markets was held at Performance Works on Granville Island with a goal of inspiring others to take up the local food movement. Net proceeds from RIPE benefited the the Farmers Nest Egg Fund which supports vendor-farmers and expands the network of local farmers who make Vancouver Farmers Markets possible. RIPE also supports the New City Market, a state-of the-art, sustainable, LEED-certified, multi-function venue to house a winter/year-round farmers market and resource facility. If you would like to get involved, check out the RIPE blog for information and contact info.